Chalet Phoenix takes pride of place in the centre of Val Thorens in the area of the Balcons Residence. This position offers excellent access to the skiing, just 100 metres (approx.) from the piste. The Plein Sud lift goes straight past the complex and competent skiers can enjoy the convenience of skiing practically to the door in good conditions. For beginners the shuttle bus stops right outside the reception area for access to the other lifts. The shops, lively bars and restaurants of Val Thorens are just a short walk away. Except for rising from the snow rather than the ashes, Chalet Phoenix certainly rivals the stature of the magnificent bird it is named after. The dining room is stylish and elegant, in keeping with the quality of finish throughout the whole of the chalet. The large, inviting living area has enough space for all on large comfy sofas and comes complete with a warming stove. Guests in Chalet Phoenix are often found glass in hand on the huge 270º panoramic balcony which has incredible views of the mountains. All the bedrooms have beautifully finished en suite bathrooms as well as the luxury of Jacuzzi baths. Loosen up your ski legs in the chalet’s private sauna or why not indulge in a beauty treatment or two in the residence’s spa (payable locally). The complex also has an infinity pool, gym, on-site bar and terrace. Heated boot warmers and ski storage and boot warmers at building entrance (communal with private lockers). Please note: The property is split into two wings. Rooms 1,2,3,7,8 and 9 are located in the East Wing. Rooms 4,5,6,10,11 and 12 are located in the West Wing. Access between the two wings is only available through the dining and living areas. There is no access between the wings on floors -1 and -2. We update Chalet Phoenix's details often, but facilities do change. e.g. some extras listed by the supplier as "free" or included might only be for the first time you use them, or for one time per party, then charged for further use. If any specific feature is essential to your holiday, make sure you ask us to confirm the details of it before you book your holiday. This package holiday to Chalet Phoenix in Val Thorens, France departs Saturday 14th December 2019, for a 7 night stay on a "catered chalet" board basis. A local tourist tax (Taxe de Sejour or Kurtaxe) is levied by many councils in European ski resorts. It varies by standard and type of accommodation and is age dependent, so not everyone is charged. It's not included in the basic price of your holiday and is usually paid locally. For reference, the average charged in winter 15/16 was between 50p and £2 per person, per night. Val Thorens lift pass price last reported as €208 (Adult 6 day). 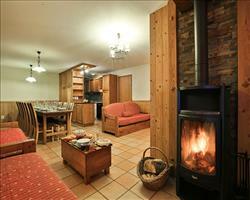 Ask for a quote when booking Chalet Phoenix. Chalet Loup Blanc Val Thorens France, Gatwick to Lyon 14th December. Chalet Ibex Val Thorens France, Gatwick to Lyon 14th December. 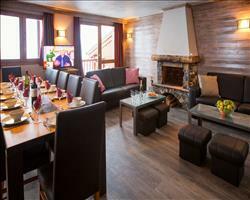 Chalet Caribou Val Thorens France, Gatwick to Lyon 14th December. 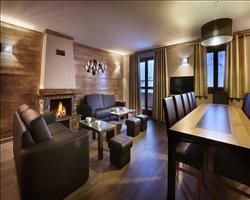 Chalet Capricorne Val Thorens France, Gatwick to Grenoble 14th December. Chalet Abricot Val Thorens France, Gatwick to Grenoble 14th December. 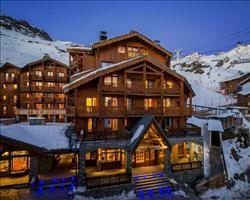 Chalet Sagittaire Val Thorens France, Gatwick to Grenoble 14th December. Chalet Verseau Val Thorens France, Gatwick to Grenoble 14th December. Chalet Taureau Val Thorens France, Gatwick to Grenoble 14th December. 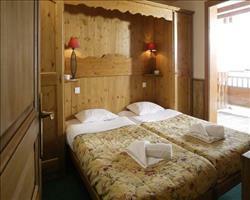 Chalet Peche Val Thorens France, Gatwick to Grenoble 14th December. 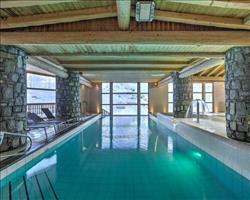 Chalet Milo Val Thorens France, Gatwick to Grenoble 14th December. "Friendly hosts & new/refurb chalet"
Chalet Phoenix is really good, the place had all been newly refurbished when we stayed here and the facilities were really good with everything being warm, new and clean. The location is nice if you’re quite a good skier as you can ski back, but if you’re a beginner it’s quite a long walk to the lift. Walking into the town is fine and probably took us 10-15 minutes. The dining area and lounge are all nicely done but not very big - the fact that there isn’t much communal area is fine if you’re a couple but there wouldn’t be much room for young children to run around unless you booked the whole place to yourselves. The rooms were fine with really nice bathrooms and pretty good views from the windows and the people who looked after the chalet were really friendly. We had cakes when we got in from skiing and a three course dinner every night. Stayed at the Chalet Phoenix, VT in January 2012. The chalet is new build, with a deluxe interior, including a large lounge with TV and DVDs, wrap around balcony with panoramic views of the slopes and open plan dining table. Downstairs there is a large sauna (takes a little time to heat up) and the bedrooms. The bedrooms are the best I've stayed in on ski holidays - comfortable double beds, good size, large wardrobes and bathrooms with soothing jacuzzi baths and shower. Two hosts and one chef live across the hall and were accommodating to our every need - top drawer food. There are secure ski lockers and you can ski out of the chalet if you have some experience. VT had great snow for the week and some brilliant runs. On a local area pass you can access the 4th valley - Orelle - a hidden gem. For the more advanced get a full area pass and head over to Meribel and Courcheval. Would definitely go back! Had a good holiday here, it’s a big flat with about 5/6 different groups staying here but it’s all quite well spread out across 2 or 3 levels. The chalet is pretty well located with an easy walk to the ski slopes (took us about 5 minutes) and there’s a way out the back which you can ski down to if you’re an intermediate skier. If you want you can also get the bus. It’s probably not a brilliant place for families with young kids as the noise would echo around the chalet; when we stayed here it was only adults. "Near the Plein Sud & great for chilling"
The majestic nature and beauty of the Phoenix is matched equally in this stunning chalet, built under the lift of the Plein Sud, making it practically ski-in when the snow & weather conditions are hold up. This also means that getting on the lift and to the village centre is nothing more than a short 5 minute walk from your front door. Also worth noting, guests have enjoyed the luxury facilities, including fitness and relaxation treatments from within the chalet (check if they are available on your dates "before booking"). It's often the perfect way to finish the day, lounging on the balcony with a beer in your hand (when we last went there was an in-house bar).